Drying- The removal of dissolved water from liquids is accomplished by passage of the wet liquid through a freshly reactivated packed column of granular desiccant material like silica gel, activated alumina or molecular sieves. Continuous operation is accomplished by the use of dual adsorbers, with one tower on the process stream while the other is being reactivated. Heat the desiccant to release water. Remove released water from the tower. Before reactivating a tower, the single volume of process liquid is emptied. Low volatility liquids can be drained or pumped into a storage tank. many highly volatile liquids (e.g., propane) can be pumped or pressurized (by heating) back into the process line. Heating of the desiccant in the dryer is accomplished with internal heaters (electric or steam or thermic fluid ) in conjunction with the use of a dry non-reactive purge gas (like Nitrogen) and in the Convection dryer by passing a hot gas stream through the bed. During reactivation the residual process liquid and adsorbed water are vaporized as reactivation temperatures are attained. 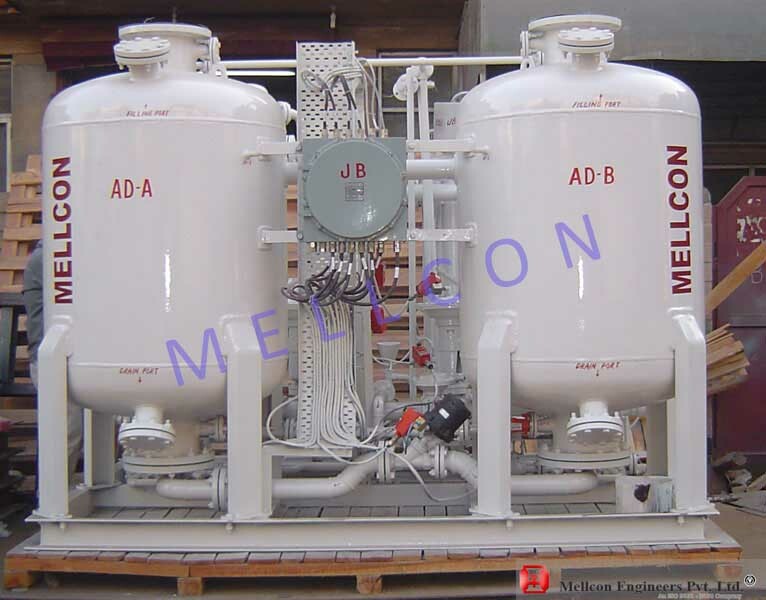 Mellcon liquid solvent dryer dehydrators are offered in two basic designs, internal heat reactivation (IHR type) and external heat reactivation ( IHR or Convection type ). Mellcon engineers evaluate each application to determine the best system. 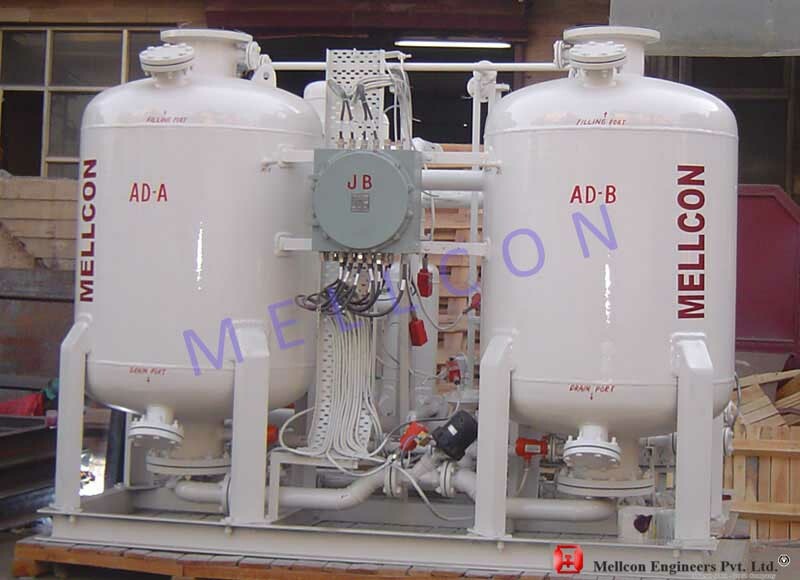 Mellcon Engineers has more than 20 years of experience in adsorption systems in the design of dehydration equipments liquid dryers. 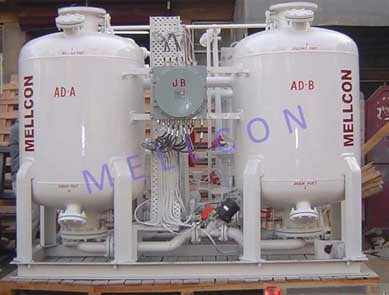 Mellcon's engineers department is capable of designing liquid dryers for many diverse applications.